JERUSALEM (JTA) — Palestinian Authority President Mahmoud Abbas is willing to suspend his demand that Israel freeze West Bank settlement construction as a condition for restarting peace talks, a top adviser said. Abbas is also willing to mute his campaign to single Israel out for condemnation at the United Nations and prosecute Israeli officials for war crimes, Bloomberg reported on Thursday. Mustafa, chairman of the Palestine Investment Fund, told Bloomberg that high levels of unemployment and international donors’ failure to provide promised aid are among the reasons Abbas is willing to sit at the negotiating table. President Donald Trump has stated that he would like to broker the “ultimate deal” approved by the Arab world to bring peace to Israel and the Palestinians. Last week, he signed a waiver to delay shifting the U.S. Embassy from Tel Aviv to Jerusalem for six more months. 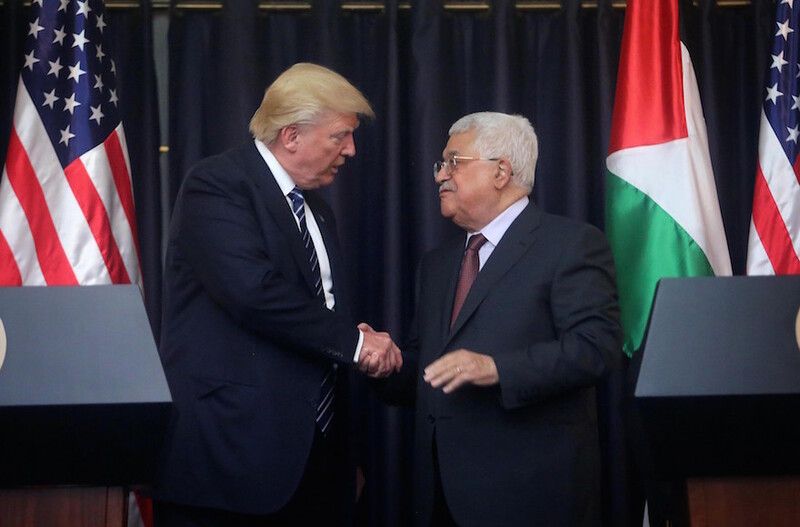 Mohammad Shtayyeh, a member of the Central Committee in Abbas’ ruling Fatah party, told Bloomberg that Trump earned the confidence of the Palestinians by signing the waiver. “With this administration, the White House is engaged and that’s a huge difference,” Shtayyeh said. “That doesn’t mean that I am optimistic,” he added.